This is a psychological disorder and behavioural condition in which an individual pretends to be or induces symptoms of illness in him. It is sometimes called Factitious disorder. Factitious disorders are either made up or self-inflicted. They can be psychological or physical. The exact cause of this disorder is unknown but researchers are still looking at the role of psychological and biological factors in its development. However, individuals with this disorder may have experienced a severe illness when they were young or may have been emotionally or physically abused. 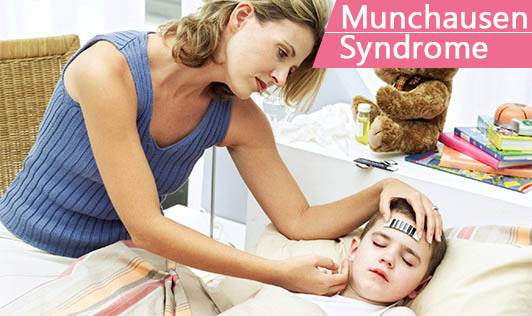 Adults aged 20-40 years are more likely to develop Munchausen's syndrome. If you think a loved one may be faking his or her health problems, offer support and help in finding treatment!